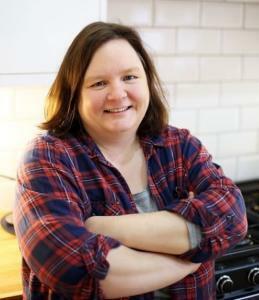 Sally Whittle, Blogger and Influencer from Who’s the Mummy. Are you looking for an agency with extensive experience of influencer marketing campaigns? At PR Agency One we have years of experience working with influencers of all shapes, sizes and types. PR Agency One not only develops the strategic and creative concepts for influencer campaigns, but the consultancy will also develop the contract for the influencer and manage the entire 360 processes of the campaign. We can help with influencer sourcing and exposure for product launches and campaigns. Influencer activity is a huge focus for our consumer PR, technology, sports, retail, fashion and health and beauty teams. The spotlight has recently been shone upon this brave new world of influencer marketing -but is it really that much of a new concept, or just another popular Americanism to be adopted by the PR and communications industry? In our experience, influencer PR has become a catch all for a wide range of tactics that have been around for a while – from social media engagement through to blogger engagement and celebrity endorsement. What objectives can an influencer PR campaign achieve? 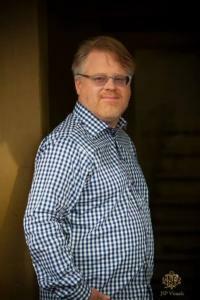 Robert Scoble, American blogger, technical evangelist and author. Influencers can be used to drive brand awareness, increase social media engagement, acquire inbound links to improve Search Engine Optimisation (SEO) and earn important third party endorsements to build reputation by association. Clearly with so many possible outcomes up for grabs, the type of work undertaken and the type of influencer selected as part of an influencer marketing campaign can vary. If the objective is to build brand awareness then influencers need to have a genuine and sizeable audience, or campaigns need to take place at great scale. PR Agency One has a vast network of 1,000s of influencers, but also uses a wide range of tools to identify new and emerging influencers in key niches or markets. We assess influencers based on their suitability, audience reach, areas of focus, levels of engagement and whether their web assets have any SEO value. We also work with celebrity agents to identify only the most impactful partnerships with the most popular celebrity influencers to ensure the greatest ROI. How can I measure an influencer PR campaign? We find that influencer campaigns can be effective drivers of brand awareness and reputational uplift. PR Agency One has an awarding winning track record of evaluation and attribution, and using our unique evaluation tools we evidence the success of influencer campaigns. Follow these links to find out about our PR measurement and social media offering. Softer metrics such as social media engagement, reach or backlinks can be tracked such as social media reach or links, but we also focus on demonstrating the resulting conversions, sales and changes in reputation using Google Analytics and our other specialist marketing attribution tools.